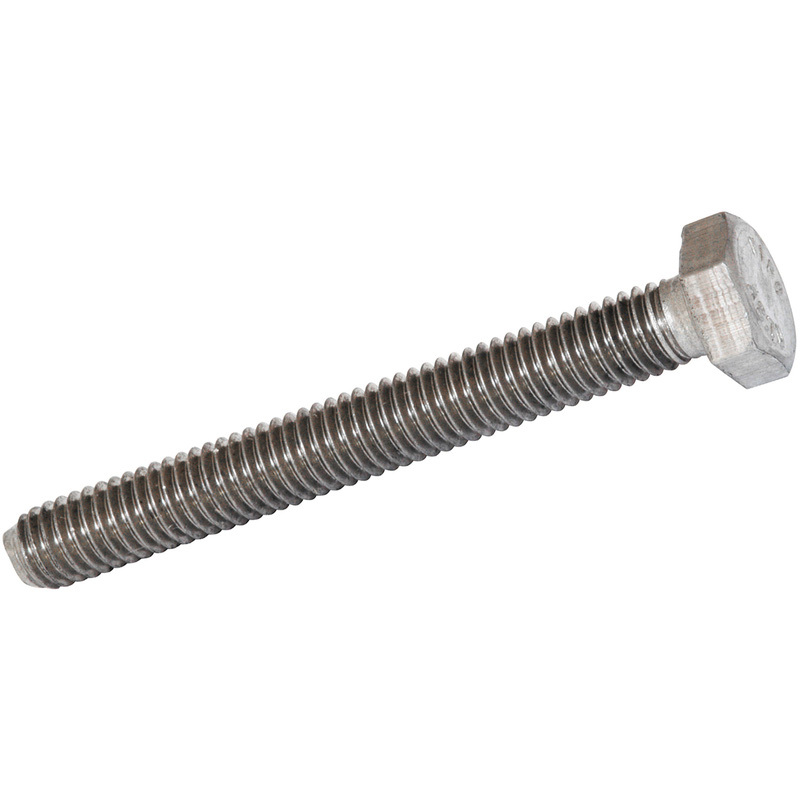 Stainless Steel Set Screw M8 x 30 (10 Pack) is rated 4.9 out of 5 by 11. Rated 5 out of 5 by Jss49 from Exactly what it says Stainless steel set screw, great for outdoor use, threaded along it's entire length, great for the use I had intended. (Fixing rubber swivel castors to a wooden plant pot trolley). Used in conjunction with Stainless steel Coach screws. Rated 5 out of 5 by msh52fish from Stainless steel quality Bought to replace bolts on my motorcycle, absolutely brilliant bolts. Rated 5 out of 5 by Sparker from Just the job A pack of 10 of these along with some Stainless lock nuts and dome head screws solved an outdoor lighting panel problem - just perfect. Rated 5 out of 5 by Sophocles from Long lasting and economical Perfect for any outdoor projects that need a rust and corrosion resistant fixing. I apply a little grease or other lubricant to aid assembly. Rated 5 out of 5 by Sophocles from Durable and good value. I use these on outdoor projects such as bolted fence post sockets where galvanised bolts would not last. Can be used anywhere that moisture could cause a problem. I apply a little oil or waterproof grease on assembly to avoid the threads seizing on the nut.